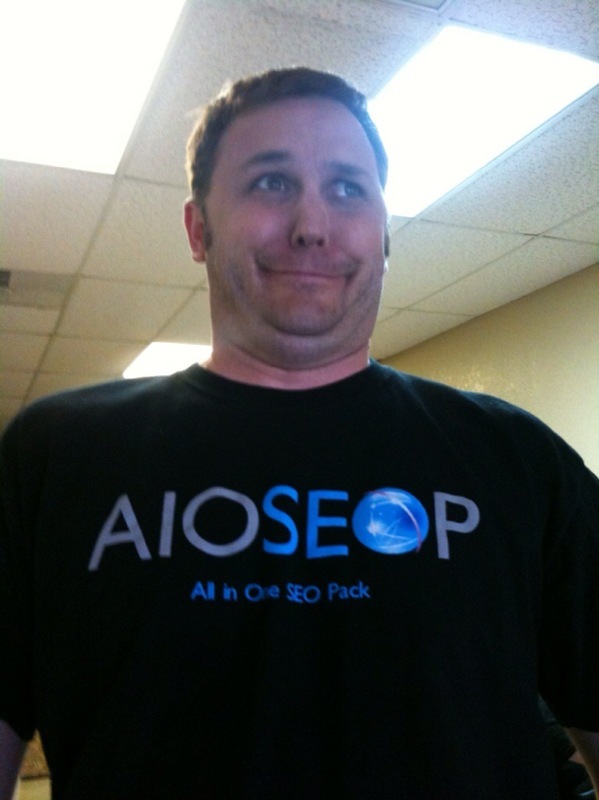 Cory Miller loves his All in One SEO Pack shirt! Cory Miller (of iThemes and webdesign.com) wearing his All in One SEO Pack shirt. Cory told me he likes this one better since this is his normal face. Which picture do you like better, this one or the one from WordCamp? This is the best picture yet of anyone in an AIOSEOP shirt! I reallt like the color combination.